AdZero stops annoying pop-ups, banners and video ads once and for all. With AdZero, you'll avoid phishing and fraudulent websites and malware attacks. Save battery life and reduce energy use by stopping ads from using your PC's resources. 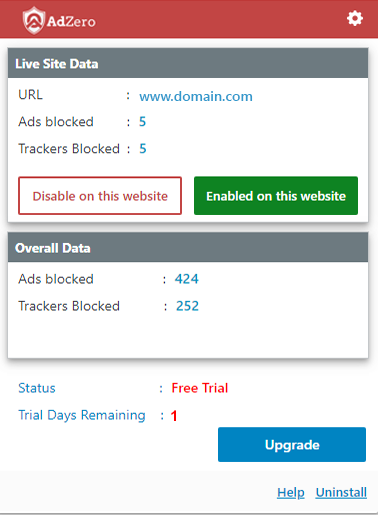 Get Ad blocking for all websites. Accelerated Browsing – Zip around the internet lightning with fast. Simple Set-up – In-browser controls make ad-blocking quick and easy.